Having met in the software industry (about as exciting sounding as a Government fiscal review committee), Hans Moller (aka Boulderdash) and Michael Zorn (Lux Nigra) evidently bonded and brought into being Boy Robot, with 'Rotten Cocktails' the follow up to 2003's 'Glamorizing Corporate Lifestyle'. 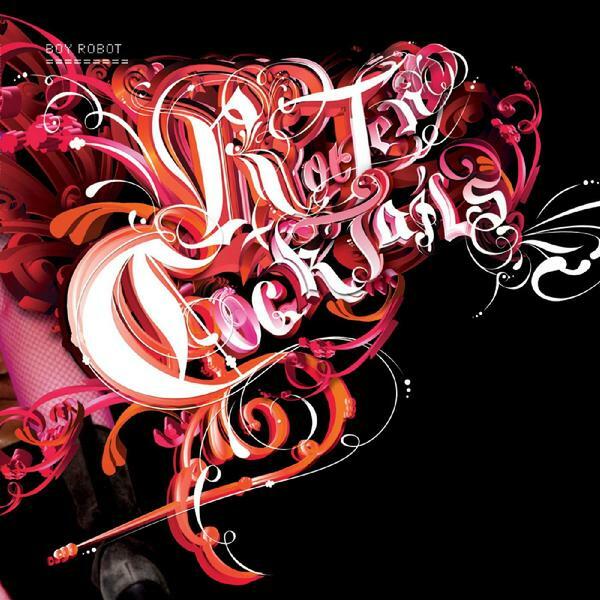 Taking a slew of influences that range from Basic Channel through to Detroit Techno and classic Artificial Intelligence era electronic prototypes, 'Rotten Cocktails' is digital innovation in a jar. Never once sliding into introspective twaddle, Moller and Zorn have crafted a bevy of aural catnip that suggests access to a musical strain of radiesthesia, enabling Boy Robot to successfully pack innovation, listenabiltiy and feet itching rhythms into a mighty wholegrain package. Opening with the glorious sound of electronic stalactites forming, 'Magic Toys For Girls and Boys' soon travels down a thicket lined lane of caliginous atmospherics and sturdy beats that at once resembles a steroid injected BOC and Monolake at its finest in one and the same breath. The magnificent “Live in Vanilla”, meanwhile, brings to mind classic Aphex Twin (Girl/Boy-era) - all widescreen strings and jerky rhythms, beautiful and oddly unnerving at one and the same time. 'Invaders Of Vanity Clubland' matches a driving, static couched beat to all manner of syrupy analogue washes and blooping characteristics, whilst 'We Accept All Our Parents Credit Cards' tiptoes its way around a vintage melody as a jack hammer 4/4 pounds out below. Classic electronic listening.